Patient Focused: We realize that every sample that comes through our laboratory has a patient behind it and it is our job to ensure that we handle each sample with care and provide results back to the patient and physician in a timely manner. PreludeDx exists to take care of the needs of our patients. Quality First: We will put quality systems and processes first and foremost as we provide the highest quality results to our patients and physicians. Driving Innovation: PreludeDx will strive to find new innovative tools and processes that assist patients and physicians for the better management of cancer. Olav is the Founder and Managing Director of Fjord Ventures LLC, a life sciences accelerator company whose portfolio includes Adagio Medical, Inc.; Allegro Medical, Inc.; Anaxiom Corporation; Kato Pharmaceuticals, Inc.; Metronom Health, Inc.; Prelude Corporation; Sonendo, Inc.; Volante Diagnostics, Inc.; and YAP Therapeutics, Inc. Each of these companies was founded by Olav. Previously, Olav was General Partner of Domain Associates, which he joined in 1995 and was charged with forming and providing active management to new life sciences companies. There he established the Company Creation Initiative that led to the formation of several companies, including VenPro; 3F Therapeutics (acquired by Medtronic); Vessix Vascular (acquired by Boston Scientific); Volcano Therapeutics (acquired by Phillips); and Glaukos Corporation. Earlier, Olav spent 18 years in general management positions at Baxter Healthcare Corporation, serving as Corporate Group Vice President and also President of Baxter’s Cardiovascular Group (now: Edwards LifeSciences). His prior positions with Baxter included President of Immunotherapy Worldwide, President BioTech Europe, and President of Baxter in Germany and General Manager of the Nordic area. Dan serves as President and CEO of PreludeDx, a Fjord Ventures company that developed the DCISion RT test for women diagnosed with DCIS breast cancer. Dan’s 20-plus years of operational and commercial diagnostic experience includes positions with medical device, lab services, and molecular testing companies. 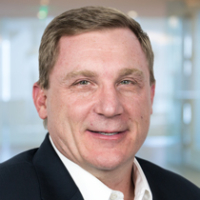 Before joining PreludeDx, he was President of Pathnostics, a full-service cancer diagnostics company providing clinical and molecular pathology testing services throughout the U.S. Previous positions included General Manager of Abbott Laboratories’ oncology lab company, where he oversaw P&L and designed growth strategies that led to Abbott’s successful sale of PersonalizeDx; Vice President of Sales and Marketing for CombiMatrix Corporation, a national provider of molecular diagnostic services, where Mr. Forche developed and executed key sales and marketing initiatives; and Senior Vice President of Sales and Marketing of Netherlands-based Agendia Inc., a genomics company with the first FDA-cleared IVDMIA test (MammaPrint) for breast cancer recurrence, with Dan responsible for opening and building US operations. Earlier positions included Senior Vice President of Sales and Marketing for Insight Health Corp., a national provider of diagnostics imaging services with annual revenues of $285 MM; various roles, including Vice President of Marketing and Oncology Sales, for US LABS, where Dan was instrumental in strategies that grew revenue from $3 MM in 2000 to more than $75 MM in 2004; Worldwide Marketing Manager for Ventana Medical Systems, a manufacturer and developer of automated immunochemistry systems for cancer testing, where Dan launched the BenchMark system, today’s leader for IHC testing. US LABS was sold to LabCorp for $160 MM in 2005. Ventana was sold to Roche for $3.4 BB in 2008. Dan began his career in medical diagnostics with Abbott Laboratories. He received a B.S.B.A. in marketing from Central Michigan University College of Business. Andy brings nearly 20 years of broad corporate finance and accounting experience, including nearly 15 years within the medical device industry. Most recently, Andy was Senior Director Finance and Corporate Controller at Lombard Medical, a publicly-traded medical device company. In addition, Andy has held management positions with a number of life science firms, including Fjord Ventures, Alsius Corporation and Cardiac Science. Andy began his career with KPMG and holds a B.A. in Business Economics with an emphasis in Accounting from the University of California at Santa Barbara. Troy is co-founder and Chief Scientific Officer at PreludeDx and has been an integral part of the company since its inception. Troy is passionate about improving healthcare through innovation. His research background has involved the application of machine learning, statistical pattern recognition, modeling and biostatistics to molecular biology. He has expertise in the planning, management, analysis and execution of complex research and development programs. Troy has extensive experience in diagnostic development and previously identified and validated several biomarker panels for disease prognosis and treatment response in oncology leading to a number of publications and various patents. Prior to PreludeDx, Troy worked at Lion Biosciences and Prediction Sciences where he served at Director of Research and Development. Troy received his Doctorate in Biomedical Engineering from the University of California, San Diego. Dr. Savala is a practicing pathologist who is board certified in hematopathology, anatomic and clinical pathology. Dr. Savala’s previous experience includes Director of Molecular Pathology for Cynogen (wholly owned subsidiary of Abbott Laboratories), Laboratory/Medical Director of MDxHealth, Laboratory/Medical Director and Director of Hematopathology at PLUS Diagnostics Inc., Director of Hematopathology for both the Physician Services and Analytical Services divisions of Genzyme Genetics, Laboratory/Medical Director of US LABS, Co-Medical Director and Scientific Director of Oncology of Specialty Laboratories, as well as several years of community pathology practice in California. Dr. Savala obtained his undergraduate degree from Loma Linda University with his medical degree from Loma Linda University School of Medicine. He completed his pathology residency at the Loma Linda University Medical Center, with additional fellowship training in hematopathology at Cedars-Sinai Medical Center (Los Angeles, CA). Tyler brings significant experience developing innovative and disruptive medical technologies through his collaborations with global thought leaders. As head of PreludeDx Marketing, he is responsible for driving product development, managing clinical trials and executing the company’s strategic marketing and business development initiatives. Prior to joining PreludeDx, Tyler served as an Associate and Director of Business Development for Fjord Ventures where he assessed new medical device and diagnostics technologies and executed formation of multiple start-up companies. Fjord Ventures, founded by Olav Bergheim, is a lifescience technology accelerator in Laguna Hills, CA. Tyler holds a degree from Vanderbilt University in Biomedical Engineering and minor in Financial Economics. While at Vanderbilt, he worked as an intern at MD Anderson Cancer Center in the Department of Research. He also holds an M.B.S. from Keck Graduate Institute of Applied Lifesciences, a Claremont College. Andrew joined PreludeDx as the Vice President of Global Sales in November 2016, bringing a breadth of business experience in the molecular genomics and clinical diagnostics industries to the company. Andrew came to PreludeDx from Agendia, Inc., where he held the position of Senior Director of National Accounts, responsible for the collaboration and sales integration for all of Agendia’s genomic profiling cancer assays. Andrew joined Agendia in February 2008 as the Director of Sales to develop, and launch the U.S. strategic plan. Prior to his tenure with Agendia, Andrew was with Genomic Health, Inc. where he leveraged his medical start-up and business expertise to launch OncotypeDx to the U.S. Market. Previous to Genomic Health, Mr. Sundberg was the National Product Development Manager and Western U.S. Sales Manager with IMPATH, Inc., a diagnostic laboratory services company. Andrew received a Bachelor Of Science degree from the Rochester Institute of Technology, in Rochester, NY. Matt Tate has over 18 years of development and commercial experience in the diagnostics market, including novel testing for device and labs services companies. Matt comes to PreludeDx from Pathnostics were he served as Vice President of Business Development responsible for the training, sales strategy, and business partnership models for the anatomic pathology lab services product lines. Prior to Pathnostics, Matt was the Director of Sales for PersonalizedDx, a division of Abbott Molecular specializing in partnership models empowering the local pathologist to control the read of genetics testing through innovative imaging tools. Matt also served as a Regional Manager for Agendia, leading the sales team responsible for selling the genetic profile Mammaprint for breast cancer recurrence. Earlier positions include, Director of Sales and Marketing for Vassol Inc., an MRI imaging company focused on measuring blood flow to the brain, Marketing Manager at US Laboratories, where he was in charge of IHC and imaging for the diagnosis of Breast Cancer and Lieutenant, Supply Corp, United States Navy. Matt is a graduate of the United States Naval Academy where he played Division I football.